Justice Louis Brandeis known as the peoples judge said “Decency, security and liberty alike demand that government officials shall be subjected to the rules of conduct that are commands to the citizen” No man is above the law so the confirmation hearings say. Today Executive branches of the U.S. government are running criminal enterprises in violation of Federal laws, federal antitrust laws, and the Constitution. Three times I previously brought this matter to the attention of then President Barack Obama. Please refer to the correspondence which can be found on this blog. None of the communications was ever addressed. Congress approved the implementation of these enterprises in violation of the Constitution and their oaths of office. Consequently, they do not want their despicable deeds exposed. I have multiple times by mail and phone requested of Congressman Morgan Griffth the opportunity to address Congress regarding this matter. No request was ever acknowledged. You may also refer to written correspondence evidenced in this blog. These enterprises are specifically designed for the obstruction of justice, to deny due process, to deny equal protection, and to deny fair hearings. These procedures are an absolute abysmal affront to Due Process, American values, and the Constitution. Three times I’ve brought these allegations into Federal Courts with the filing of Civil Lawsuits. For Five years Government has refused to allow a fair hearing on these matters. Each dismissed by corrupt federal officials who’ve used lies, deceit, deception and down right criminal acts to subvert these allegations. Enough is Enough as Clarence Thomas Said When Anita Hill lied, I purpose to aid the treason afoot. If anyone has any doubts Federal Judges lied about material evidence against the USDA’s racketeering enterprise to aid, abet, and protect the Governments treason, I respectfully request you look at the evidence presented in other post on this blog, Here is a list of post to start with: Please leave your opinion in the comments. Federal Court Opinion Balances Scales of Justice With Lies! If you want to know about the implementation of this criminal enterprise and the treason that created it. You can read about that here. Treason & The Good Ole Boy Network; The ABA Within! And don’t forget to check out other links to evidence. The Federal Judiciary is aiding, abetting, and protecting these criminal enterprises and even gifting them with the ability to write new laws at will avoiding accountability for criminal and civil violations of Federal law against the people they’re supposed to serve. See the Statements of the Supreme Court on deference made over the last five years in the Courts rulings. See the Separation of powers Restoration Act which implements the recommendations Justice Antonin Scalia made to congress to eliminate the treason afoot by Government Agencies many years ago. These acts Sir are in violation of the government’s contractual obligation to operate legally and within the law. These acts are a complete and utterly criminal violation of the Constitutions intent for the separation of powers. These acts Sir have the Government warring against the Constitution and against the American people. These acts Sir, are acts of treason as defined by the Constitution of the United States. As you should now beware, Sir, these criminal, unAmerican, and unconstitutional allegations, allege a criminal conspiracy of wrongdoing by every branch of the US Government. It’s a tenant of the rule of law that no man may preside over his own case. I, therefore, submit that this case must be heard against the US Government by a Jury of the American people and its criminal operations must be stopped. The rule of law states: The Law should govern a nation as opposed to being governed by the arbitrary decisions of individual government officials. The Judiciary has repeatedly corruptly, maliciously, relied solely on arbitrary decisions of corrupt Government officials in the judiciary aiding, abetting, and protecting the Government’s criminal and unconstitutional RICO enterprises. They’re guilty of Treason by conspiring, aiding, and abetting domestic enemies of the Constitution and the American people. This country is founded on the rule of law. If it’s to be governed by the rule of law then All branches of Government must stand trial as defendants and defend themselves before a jury of unbiased civilian jurist. The prophecy of Edlbridge Gerry declining to sign the Constitution and the warnings of Thomas Jefferson in 1820 are proven accurate. How Sir can I, can any of us, have anything but contempt for a judiciary that’s aiding, abetting, and protecting illegal and unconstitutional operations of the people’s government? How should I, or any of us, not have contempt for a Government operating above the law and against justice for its people? The American people cannot address Government Corruption in Corrupted Courts under their control. The people should awaken to fact corruption permeates the Judiciary and it should no longer be allowed to Judge itself in dismissing facts. This petition is made pursuant to the First Amendment to the Constitution the right to petition the Government for a redress of grievances. The Government is not entitled to immunity in this matter because its sovereignty cannot supersede the Government’s agency requirements as defined, by the Constitution, by the Contract, which gave rise to the existence of Government, a contract which requires Government to operate legally and within the law. I cite and incorporate for reference and submit as evidence the Judiciary is criminally corrupt all procedural records of filings, appeals, including the appeal to the supreme court, writs, the dockets, and all supporting documentation, including the actual dockets for the following cases. : 4:13-cv-0054, 1-15-1544C, and 3-16-cv-173. That is, an honest factual assessment of all filings in these cases will suffice to prove beyond a reasonable doubt the Government is guilty of treason. The courts are thus aware of the evidence against them and the allegations of the criminal enterprises as complained of in the aforementioned cases. They may not preside over nor dismiss a case against them without a proper and fair hearing. Since the complaint alleges criminal wrongdoing and conspiracy by the judiciary, including the willful intent to obstruct justice. The judiciary has neither the right nor the Authority to dismiss this case. Plaintiff demands the US Government including the Judiciary stand trial for TREASON! Before a Jury of American Citizens. Failure of the Judiciary to defend itself before a Jury is admission this country is no longer founded or governed by the rule of law but is in fact under the rule of a Criminal enterprise of despots and traitors. Please readers watch this Facebook post its all related to the Treason i’ve been fighting. 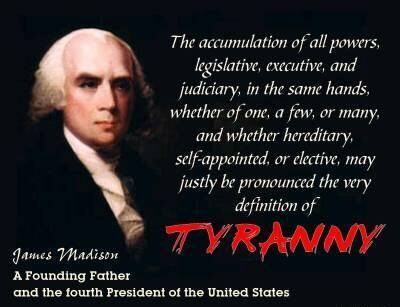 No one in a Republic is above the law, above the supreme law; not even the judiciary! Christopher B. Julian Pro Se.